The Sonoma Coast appellation overlaps with that of the Russian River Valley in many places and is similarly shaped by the ocean. Local geology can be complex here, a direct result of being located on the intersection of two tectonic plates. For this wine, we find ourselves drawn to vineyards that are particularly influenced by the Pacific Ocean and are fortunate to work with some spectacular sites. 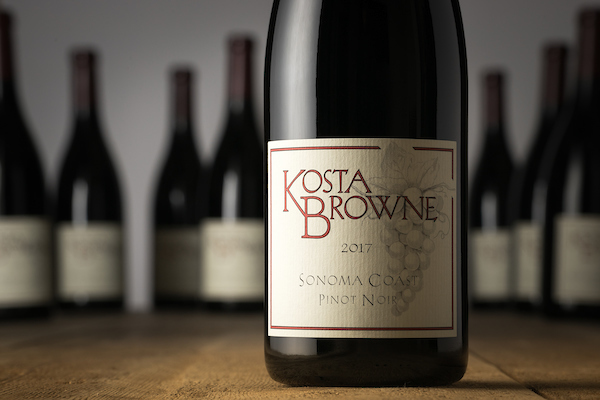 Together, they form a singular wine that is distinctively Sonoma Coast. The vineyards we source from lie in both the southern portion of the appellation and in the northern true coastal zone. In the southern area, the Petaluma Wind Gap and the San Pablo Bay drive cooler temperatures and provide us with deep flavors and richly textured wines. The vineyards from the coastal reaches contribute more of the savory and spice characteristics that we love as well as great structure and poise. In our second year working with the fruit, Marshall Ranch, in Sebastopol, again proved to be an excellent cornerstone for our Sonoma Coast blend, offering vibrant fruit, crisp color and racy, grounded acidity. Nose: Forest floor, with blackberry, Bing cherry and bramble fruits. A hint of Rosemary. Mouth: Thoughtful and focused. Intense dark fruits with notes of blackberry and blueberry.